To force the hand of the PanFam into seeing what they truly value. PanFam values ISK, prestige, and content. You don’t need to deploy a whole coalition to figure that out. Moomin here is echoing Mitten’s strategy. With TEST hitting Darkness from Venal, and the Imperium hitting Syndicate where Mercenary Coalition was living at the time, they can force PanFam to “choose” to either support Darkness against TEST or defend Syndicate. Of course, the result was that PanFam abandoned Syndicate for the three weeks or so of the campaign, netting the Imperium approximately a few dozen billion ISK at most. 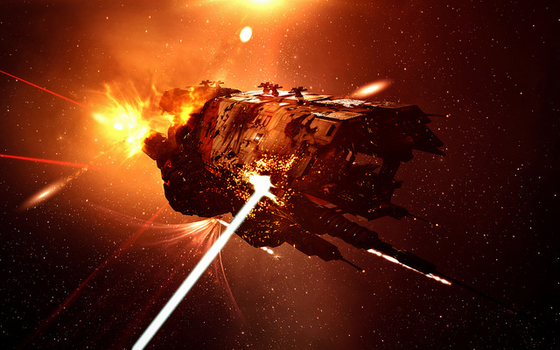 This temporary victory came at the cost of feeding/losing trillions in the form of failed assaults on the north or lost supers and Rorquals in Delve, which was left mostly defenseless. One notable exception was a lost Loki fleet by NCdot which again could hardly compare. To allow the rest of New Eden nullsec to breathe without interference from PanFam. Literally what? Goonswarm’s doing charity work for the rest of Eve? This objective is just dumb, and Moomin’s analysis either showed the stupidity of GSF leadership or his failure to accurately analyze the situation. Even if they were successful at it, giving nullsec a break from PanFam gains GSF nothing. Good will? Nah. Too late for that. Develop new tactics in nullsec warfare. They developed a new understanding of missile travel time mechanics and how costly it can be in battle perhaps. As far as developing new tactics… has GSF ever in recent years? To highlight “broken” game mechanics (see Crime Watch and Citadels). To highlight things everyone is already aware of? Both redundant and irrelevant simultaneously. To better position The Imperium concerning upcoming moon changes. A significant failure here as well. Syndicate was immediately lost by the Imperium after the coalition retreated home to Delve. All the mining and ISK in the world can’t save you if you do not have the competent leadership or FCs to make use of it. Seeing as Mittani seems more occupied with posting unironic pro-Socialist GrrGamerGate badposting on his Twitter account, one can understand why things weren’t thought all the way through. To remind New Eden that The Imperium is still a force within the game. Develop new talent within The Imperium. Allow bees new and old the glory of war and a chance to claim a chapter in their own story. When the Imperium failed to win any real objectives, Mittens fell back into making new objectives that were even less relevant than the original. Thus we are introduced to “roach motels;” Basically spamming Freeport citadels in PanFam space in the hopes that this will suddenly invite a bunch of people to stage out of them and attack PanFam interests. This tactic was a comical failure and a complete waste of resources and time. Despite this, it was highlighted as some kind of crowning achievement by the GSF leadership. I’m not going to deny people didn’t “have fun.” Often when actual military metrics indicate failure, Eve alliance leaders often fall back on “well we had fun, and that was the REAL objective all along.” But that’s a nonsense cop-out. Sure it may have been fun, but it’s always more fun to be on the delivering end of firepower rather than the receiving. Time will tell if the Imperium will actually be able to carry out a successful campaign. Right now the membership is consoled with “but our mining ticks” propaganda from on high, and the occasional successful dreadbomb against Guardians of the Galaxy. They do have the capability regarding organization and resources. The talent in leadership and a realistic plan, on the other hand, has remained elusive. I just want to mention I’m new to weblog and absolutely enjoyed this web blog. Most likely I’m planning to bookmark your site . You definitely come with awesome writings. Bless you for sharing your web-site. Am i legitimately in charge of web content on my blog sites & discussion forums that have composed?